A day of sun, excitement, and relaxation awaits you. So hop aboard your personal watercraft and sail past the shining waves. Ease the sheet and let the wind be your guide. Feel it set through your hair and touch your soul. Let it take you away. Only by losing sight of the shore can we get where we are going! **This beach decor was painted using oil paints. It was created on high quality cotton canvas and is stretched and ready to hang. The sides of the oil painting are painted *black* to give the art a professional look. You can hang it right out of the box! 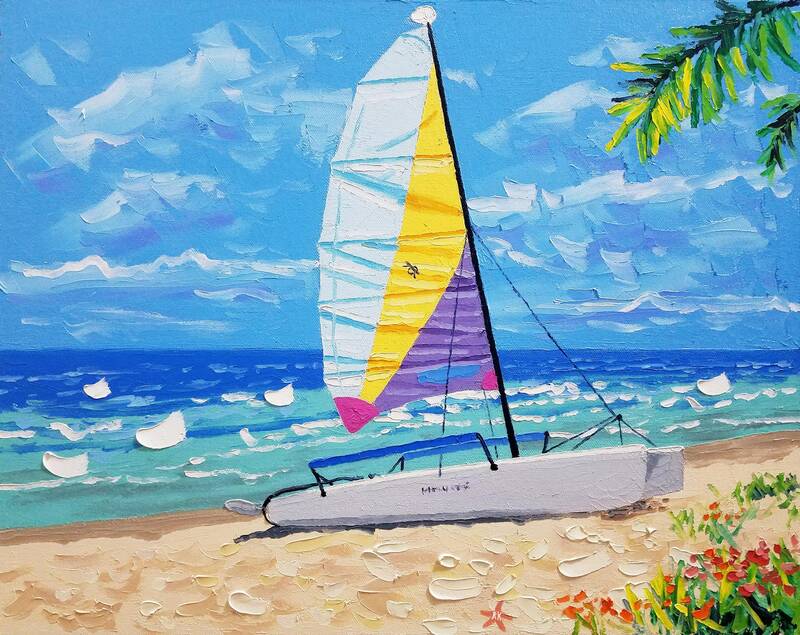 **This sailboat painting is 16 by 20 inches in size and comes with a certificate of authenticity, signed by me. The colors and rich textures of the painting make the work pop off the canvas. My 3-D style is very exciting and makes my art unique.